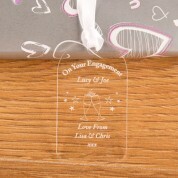 Our engraved gift tag makes the perfect finishing touch to an engagement gift for the happy couple. 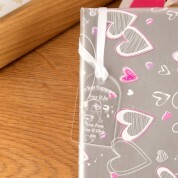 Each gift tag is made from clear 3mm acrylic and comes complete with a white loop of ribbon which is ideal for using as a bottle tag or as a gift tag on a parcel. 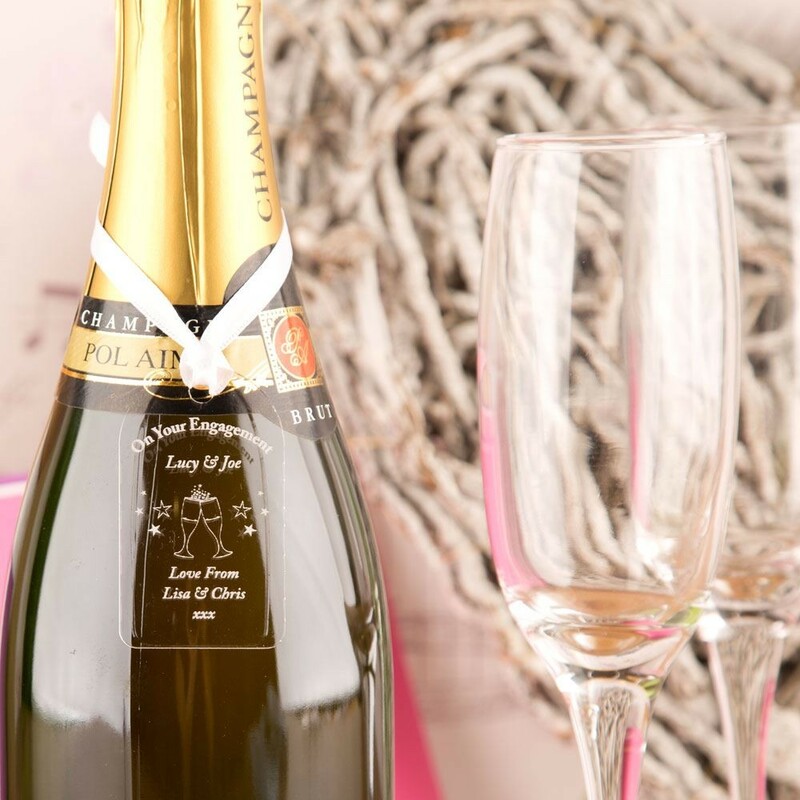 After the champagne has been enjoyed or the present has been unwrapped the tag can be hung up in the home on a pin board or a cupboard handle. 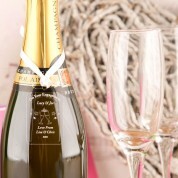 We laser engrave each tag in house especially for each couple. Dimensions: Approx 3.5cm x 6cm and 3mm thick.